I have long since abandoned the frequent Facebook checks, I realized that I did not need to keep up on the random thoughts of my friends that often. Not that I had zero interest, only that I was not able to maintain a consistent interest level everyday. I have resorted to checking in once a quarter at best. Twitter is another creature all together, it is at its best when you have direct access to folks who are not necessarily your friends, and when those persons are actively engaged and responsive with a community it yields near constant authentic interactions. Not sure when exactly it happened but Twitter appears to have lost control of the narrative surrounding its own platform. It is still real time, and connected, and raw, but it is now fueled by a more cynical form of enthusiasm. That is to say, Twitter can no longer redirect or intercept prevailing sentiment that it has slowly transformed into some combination of the wild, wild west; the land of trolls; and the Blight. The irony is that had Twitter taken even the minimum steps of protecting its most vulnerable (and most faithful) users it could have avoided this. 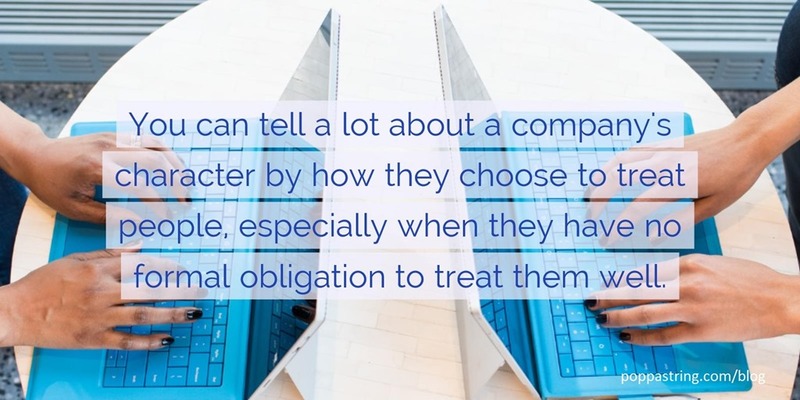 You can tell a lot about a company's character by how they choose to treat people, especially when they have no formal obligation to treat them well. While I acknowledge that policing a community of millions is not a simple task it seems that whatever errors and assumptions exist in our natural world appear reflected in the digital one, leaving certain segments consistently under valued. A few decades ago the LA Police department adopted the catchy slogan of “Protect and Serve” and this idea has permeated many other law enforcement offices across the country. The immediate and reasonable response from some communities has been “Protect and serve who?”. Twitter appears to be moving to protect its Twitter users, but the consistent response is that the protection has come too late and mostly serves the needs of those who already enjoy a certain type of privilege. The question now is can Twitter course correct before the platforms reputation is in full atrophy? I certainly hope so.